Former Rovio EVP Wilhelm Taht has joined the Dodreams board of directors. Taht has also made an undisclosed investment in the Finnish mobile developer. 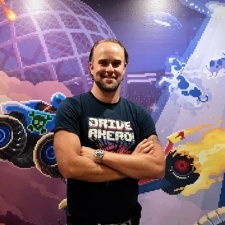 He follows fellow Rovio alum Sami Lahtinen in making the move to Dodreams. The Helsinki studio is best known for gladiatorial arena racing game Drive Ahead!, which boasts 10 million monthly active users. Taht added: “Dodreams has created a unique viral phenomenon in Drive Ahead! where the momentum hasn’t stopped since its release. Its 10 million MAU is a true showcase of the magic players have felt worldwide. Taht left his position as head of games at Rovio earlier this year, citing personal reasons. His three-year role at the Angry Birds studio saw him spearhead the company's pivot to free-to-play. Since leaving Rovio, Taht has also joined Animoca Brands as a strategic advisor and sits on the board of fellow Finnish studio Nitro Games.